This beautiful and modern furnished holiday apartment is located on the second floor of a residential building, which is placed on a hilly terrain. 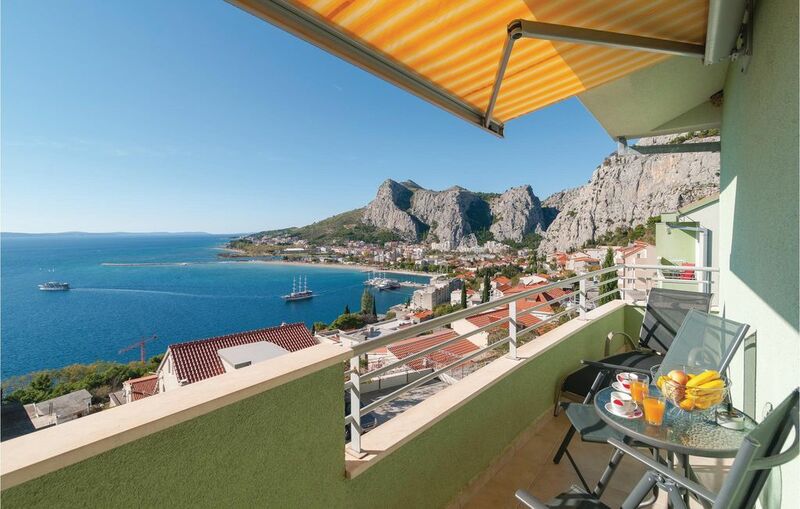 The apartment has two bedrooms, bathroom and kitchen with living room with access to the terrace where you can enjoy the wonderful views of the sea and the town of Omis. To the beautiful beaches leads a steep path. The small town of Omis offers during the summer months numerous opportunities for fun and adrenaline rush. We recommend rafting on the Cetina river.